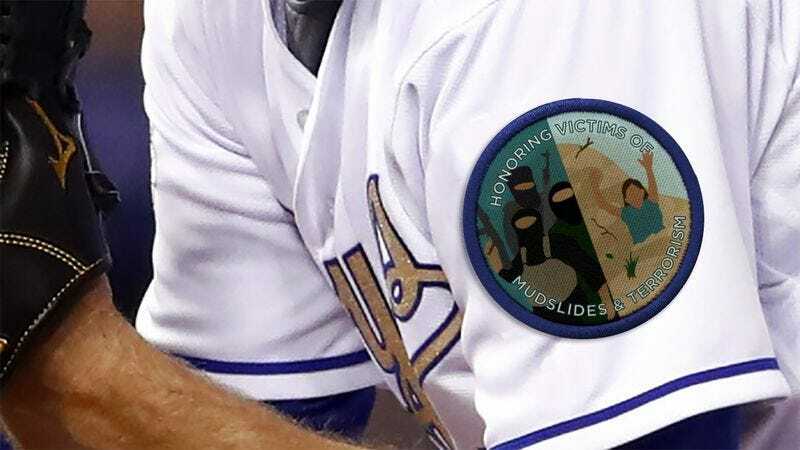 Some things are much bigger than baseball, and here’s one Major League Baseball team that definitely knows this to be true: The Kansas City Royals are going to wear a special uniform patch all season that honors anyone who died in mudslides or terrorist attacks. The defending World Series champs will don the patch that honors the victims of mudslides and terrorist attacks on both their home and away jerseys during all 162 games this season—and, of course, in any postseason games, should they make it that far. Whether it’s the recent terrorist attacks in Paris, the 2010 mudslide in China, or the Oklahoma City bombing, this amazing patch remembers the victims of all of them and brings visibility to both issues. Yep. These guys get it. If you weren’t already a Royals fan, you definitely are now.